This multi-tower development in the heart of downtown Mississauga can be your ticket to urban living. With Square One at your door, the brand new LRT, and numerous lifestyle amenities, Greenpark’s latest development has so much to offer. Introducing Tempo Condos, welcoming occupants in 2021. 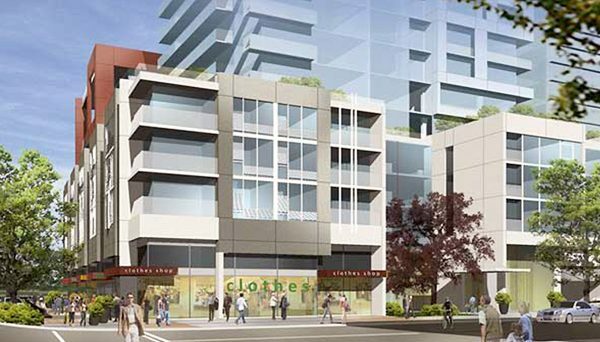 With 2,086 units, this downtown Mississauga condominium will be a bustling community in itself. Ideally situated on Burnhamthorpe Road West at Kariya Drive, it’s across the street from Square One Shopping Centre and within walking distance to the future Hurontario LRT system, which will run through the city centre. With sleek, clean lines and plenty of space for upscale retail on the ground floor, This condo project is sure to become a contemporary focal point on the skyline of this rapidly transitioning area. The neighbourhood around Square One has grown exponentially over the past five or ten years and has become a major hub for real estate investment. 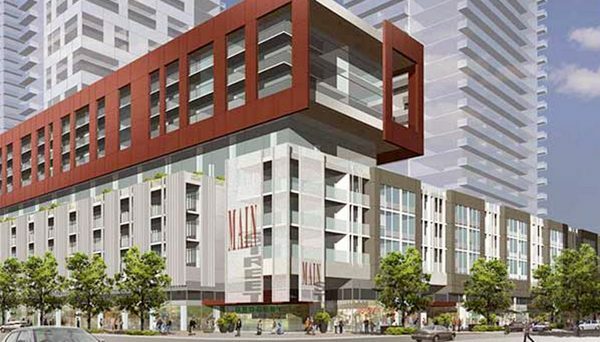 The mall has become an upscale destination of its own, while glistening condos and office buildings have sprung up on every corner, creating a vibrant, thoroughly modern, yet friendly neighbourhood. Square One is Ontario’s largest shopping mall and carries everything from high end retailers like Holt Renfew and Lacoste, to everyday outlets like WalMart. The complex also houses a Whole Foods, GoodLife Fitness and Cineplex Cinemas. With a Walk Score of 90/100 almost every urban convenience is easily accessible, including an abundance of fine eateries, parks, schools and entertainment options. Square One also serves as the main transit hub for MiWay, the regional transit system, which also connects to the GO bus system. And with easy access to Hurontario Street and Highway 403, commuting to downtown Toronto or elsewhere in the GTA is convenient. In addition to becoming a commercial and business hub over the past few years, the area is also close to several post-secondary institutions, including the University of Toronto’s Mississauga campus and the newest campus of Sheridan College. This provides a valuable potential tenant base for those considering investing in this pre-construction condominium. it scores a 92 on its Walk Score and a 83 on its Transit Score. The neighbourhood around this condo is not without its arts and culture options too. The development is steps from the Living Arts Centre, a 225,000-square foot facility that includes expansive performance theatres, gallery space and subsidized studios for artists. Celebration Square, which hosts outdoor film screenings, skating parties and cultural festivals is nearby too. Greenpark Homes is a trusted name throughout the GTA, having developed quality homes for over 50 years in the region. From high-rise complexes to townhouse communities to single family estate homes, they pride themselves on their projects showcasing excellence in both design and construction. They also offer a full-service décor centre, where design consultants are available to help buyers select the elements for their condominium residences, from a selection of ceramic tiles, marble, granite, carpets, paints, cabinetry and plumbing fixtures. 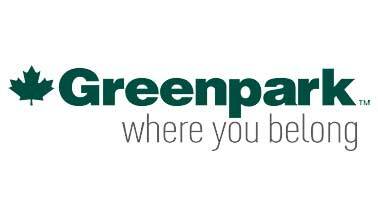 Read more about Greenpark Homes.